Remember by post from yesterday? Well, to refresh your memory, the kids all happily played in and with laundry baskets and blankets yesterday morning, keeping them occupied for a solid 30 minutes. And I had the gall to brag about it. Before I could run upstairs Anna had tumbled down the stairs in one of the laundry baskets(a.k.a. her attempt at skating). She cried and got some loving from me, along with a quick reminder that this is why I’ve been so adamant about not playing on the stairs. We iced it and gave her some Tylenol but when it was still hurting in the evening, I decided she should get checked out. “Hardly alone. 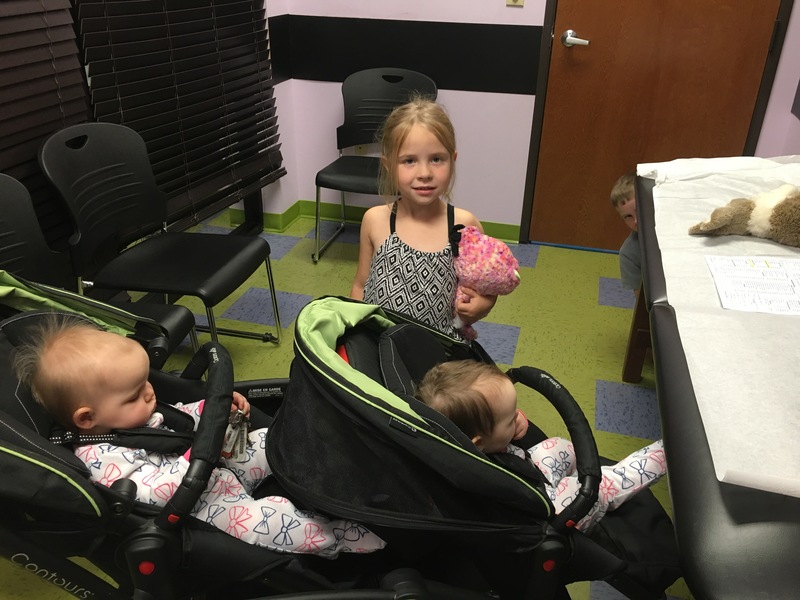 I’ve got all four kids.” They were super well behaved, considering the wait time we had right at bedtime. You can see Mr. I’m-too-cool-for-photos head poking out from behind the table. 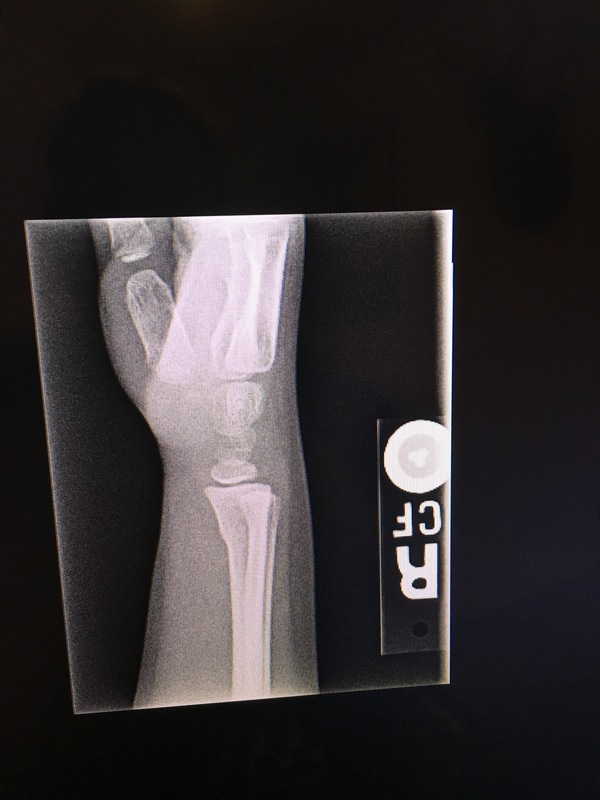 Her wrist did end up being a slight buckle fracture. I was glad I decided to take her in. You can’t really even tell unless you know what you’re looking for in the X-ray. Next step, a follow-up appointment with the Ortho. So much for “cheap entertainment.” I feel fortunate. Her fall down the stairs could have been much worse. Moral of the story: don’t be too quick to brag. Oh, and I now have the stomach bug- despite the bottle of Lysol I went through yesterday. Fun times around here. It’s almost funny how karma can bite you in the rear. Fingers crossed the kids don’t get it.